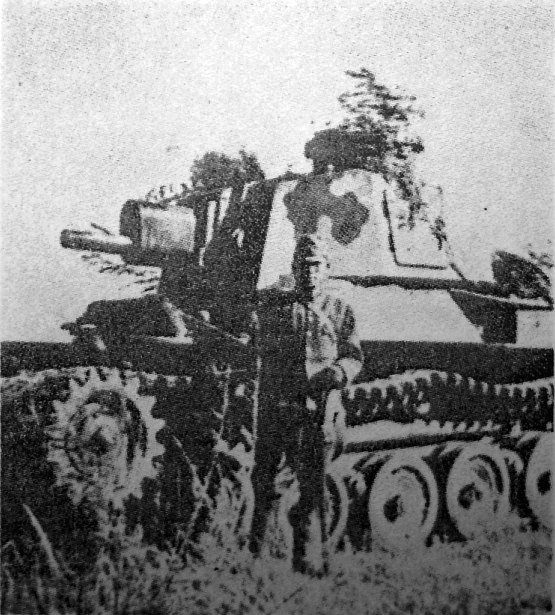 The Type 2 infantry support tank was first imagined in 1937, after the war experience in Manchuria showed that a larger caliber than the standard-issue 47 mm (1.85 in) and 57 mm (2.24 in) would be required against Chinese fortified positions and pillboxes. In 1939, work started at first on a Type 97 Chi-Ha chassis to mount a new turret armed with the Type 41 75 mm (2.95 in) mountain gun. On the other side of the world, their German allies already had such a model, tailored for the task of close fire support, the Panzer IV. Tests and adaptation of the gun commenced in 1940, but it was not ready for service before 1941 and production started even later, with conversions being based on the Type 1 Chi-He chassis. However, the appearance of the Sherman in the Pacific theater prompted a gun modification program in 1942, in order to allow it to use AP shells. Army designation was Type 2 Ho-I. The Type 2 Ho-I was initially meant to be a conversion of the main battle tank of the Imperial Japanese Army, the Type 97 Chi-Ha, but it was later decided to use the improved but very similar chassis of the Type 1 Chi-He. Both shared the same turret ring, which restrained the size of the turret that could be fitted. The final product weighed about 16 tonnes, had a Mitsubishi Type 100 air cooled V-12 diesel which developed 240 hp (179 kW), a bell crank suspension, all of which gave a range of about 100 kilometers (80 mi) and a top speed on flat of 44 km/h (27 mph). The two-man turret offered a full 360° traverse to its modified mountain gun, the Type 99 75 mm. It was supplied with HE (high explosive) shells and, after late 1942, armor-piercing shells. To deal with infantry, the turret received a coaxial 7.7 mm (0.31 in) Type 97 machine gun, whose tracers could help the gunner determine the range to the target. The welded hull, partially sloped, offered a protection ranging from 12 (bottom, deck, roof) to 50 mm (front, glacis) (0.47-1.97 in). Production figures are uncertain, as it was discontinued, first because of the shortage of materials caused by bombings and the American sea blockade, and due to the choice of using the Type 1 Chi-He chassis, already in short supply. Eventually, around 30 Type 2 Ho-I were apparently manufactured and delivered, with additional delays due to modifications made to the gun in order to use AP shells. By 1944, Mitsubishi’s mass-production of the type, although scheduled to start long before, was hampered by the scarcity of needed materials, aggravated by the utmost priority being given to the navy and air force. The whole program was eventually cancelled at the end of 1944, when it appeared Mitsubishi was unable to mount a mass-production of the type. 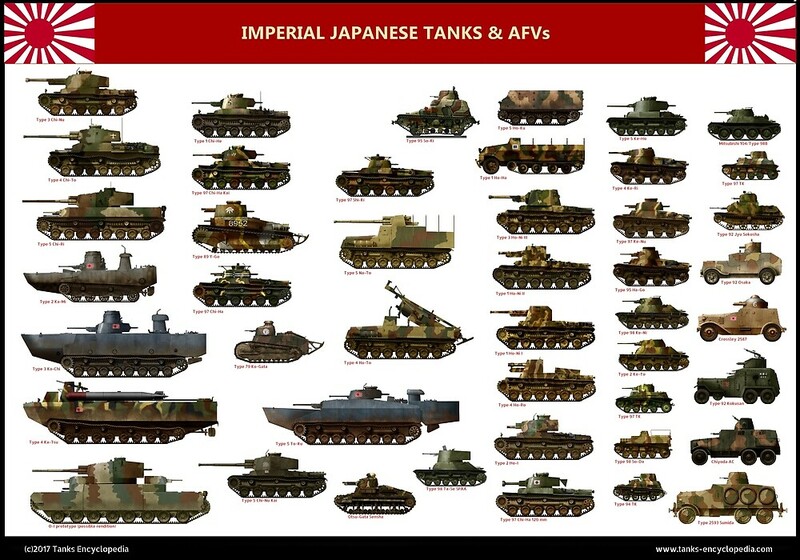 However, these vehicles were allocated to the Japanese home islands defense units, in case of the planned Allied invasion of late 1945, which never took place. These tanks (of which none survived) consequently never fired a shot in anger. Type 2 Ho-I, home islands, 1944. 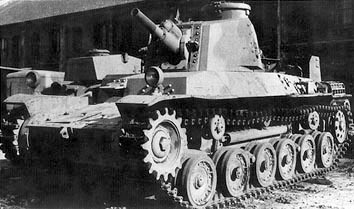 Type 2 Ho-I prototype, based on the Type 97 Chi-Ha chassis, 1941. Gentlemen, a note as to a photo above, showing the Type 2 Ho-I ready for shipment to the US in 1945, after the end of the war. It is the production model with the Type 1 Chi-He chassis; one can tell by the gun barrel and the extended front fenders of the Chi-He chassis shown. Cheers.